All Things SW/MSP: Are you using all your super powers? Are you using all your super powers? Ok, I’ll admit it, I’m a super hero movie fan. Marvel universe, DC? Justice League, or X-men. All of it. 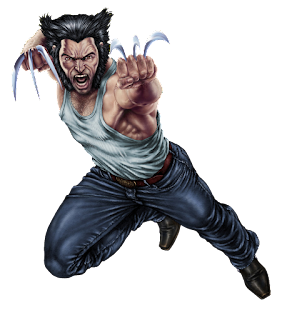 And being of a slightly older generation, I love that Wolverine is still going strong! Really looking forward to “Logan” the next installment. But one of my little pet peeves with many of these movies is the inconsistency of the heroes when it comes to using their super powers. Superman struggles fighting Batman when the guy can punch a planet out of orbit? Wolverine takes time to recover from a car accident while he could remain conscious as his flesh is torn from his body walking toward the Phoenix? Have you ever watched one of these movies and thought, “why didn’t they just use (fill in the blank)? It’s like watching Jason Bourne fight a trained killer and defeat them, only to struggle with some ordinary guy later on. The powers or skills seem to come and go at the writer’s whim. What happened? Did they somehow forget they have a special skill? I feel the exact same way when it comes to a very particular feature in the MSP RMM Dashboard. Remote Background has to be the most powerful yet unknown tool we have. I bring it up on every tech walk I conduct, and I’m still surprised at how many long time users of the Dashboard did not know it was there. Especially since those of you who have reached your cap have the service already included. I kid you not, that is almost a direct quote. If you already know about Remote Background and are using it, bravo! But if you don’t have any idea what I’m talking about, read on. Remote Background Management provides a seamless maintenance experience for customers by allowing the Dashboard user to perform Remote Command Line, Remote Process Control and Remote Service Control actions on their devices without interrupting their work, all directly from the Dashboard. Combined with proactive monitoring you can identify and resolve issues even before the customer is aware that a problem exists. Ok that’s the official “from the manual” explanation. Here is what it is to me. That time I tried to explain to a user how to type, “GPUPDATE/FORCE” into a command prompt and lost precious minutes (and my will to live) while they type the wrong thing over and over again. The one on the question mark key….sigh…. Now I have access to the command prompt myself and all the power there in. The user is blissfully unaware. He gets my remote session started and is off to enjoy the weekend. I sit watching the slow machine in a remote session, ten minutes just to get to the running services or processes to free up some resources, or just fix the problem. With remote background, I can now go in “under cover” saving time, energy and sanity. So next time you are watching the newest installment of your favorite hero movie and find yourself saying, “Why don’t they just…” remember to ask yourself that same question. Chances are if you think there is an easier way accomplish something in the dashboard there is. Remote Background is easily enabled under "Settings , Remote Background Settings"
Turn it on, your RMM utility belt is meant for more than just keeping your pants up!